LGBT Influencers, bloggers, vloggers and YouTube Content Creators LGBT Destination Marketing Case Study, featuring targeted advertising & user-generated content Targeting Tobacco, HIV and STD At-Risk Groups Our print run is 1,500 copies, to be printed and distributed between August and December 2016. 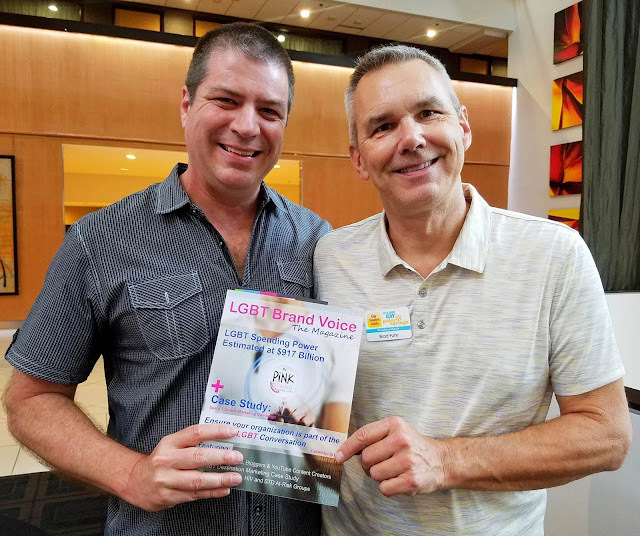 In addition to the NGLCC Conference debut, we will also be distributing it at the LGBT New Media Trade Show & Expo in Las Vegas, Nevada, December 13, 2016, immediately following the CMI LGBT Tourism & Hospitality Conference. Join Our Journey With Us!